Last year, I created an Advent to Epiphany Planner to help me keep track of the numerous feast days in December and January. I also wanted to create a planner that my daughter and I could use during the week to schedule our homeschooling lessons. I try to do a little reading, math and writing everyday, then devote some time to fun activities like baking, doing holiday crafts, etc. 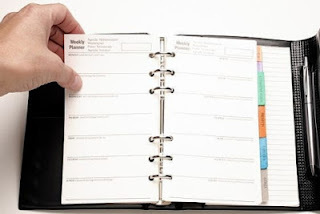 The planner helps me track these things, in addition to schedule fun activities like field trips to see holiday displays, watch our favorite holiday movies, etc. You can read more about the planner at this post. I thought others might like to use this resource, so I uploaded a 2012 version into Google Docs, which you can get here. The first two pages are a basic template without any dates. The pages after that are dated and note saint feast days, solemnities, etc. Please let me know if you use it! I also welcome any suggestions for changes for next year.